"Holy, Holy, Holy is the Lord Almighty, the whole earth is full of His glory"
Devotions & Refreshment is posted on the Church bulletin board. For more information call the church office. 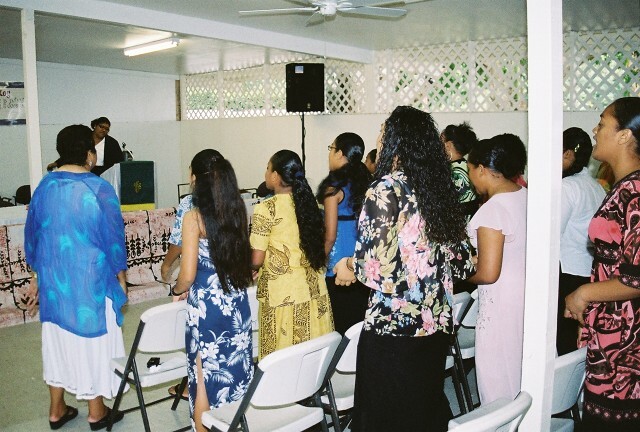 Worship Service: The English worship service is led by Kolone Fine, Sima Fine, Pauline Taumalolo, and Ema Arelliano. Worship service starts every Sunday (except the last Sunday) at 12 noon follow by a light refreshment. 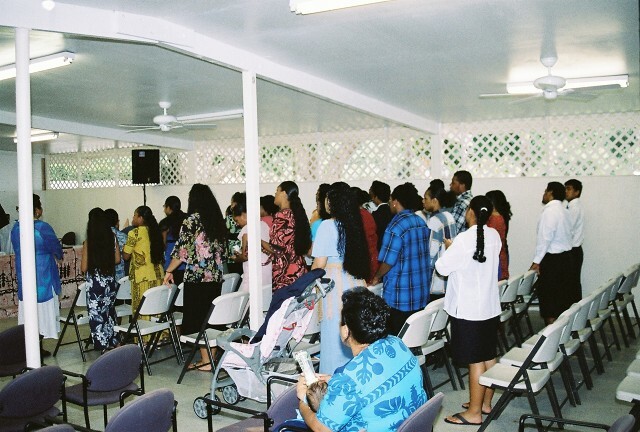 After refreshment Sunday School will begin at 1:30 p.m.
Picture on the left side is the Senior Pastor: Rev. 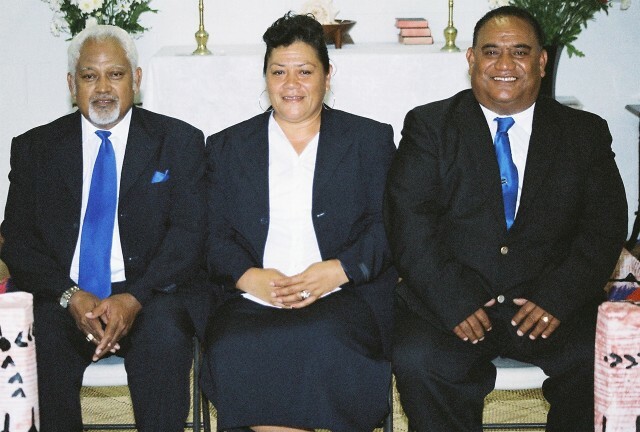 Dr. Langi Fine, Youth Choir Director: Mrs. Lupeolo Mikaele, and the Vaikau`aki Choir Director: Mr. Alani Tu`ifua. 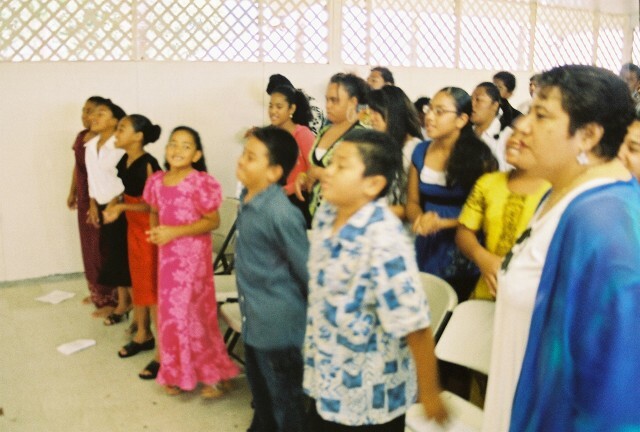 Picture on the right side is the First Tongan United Methodist Youth Choir. 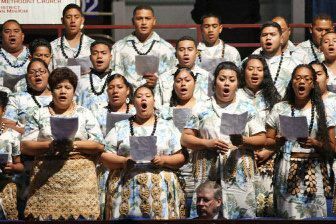 The youth choir was performing at the 2008 United Methodist Church General Conference in Fortworth, Texas. The choir was performing Hosanna Alleluia. This is the English Congregation mostly youth members standing for the opening prayer of the service. This service was created by our Senior Pastor Rev. Dr. Langi Fine to keep the youth busy on the weekend. Not only that it keeps them busy it also get them closer to knowing God. The service starts at 12 noon - 1:00 pm. The youth are standing and worshiping the Lord with Gosple music. Picture on the right side is Ema Arelliano and the Congregation. Ema Arelliano is the Head-Leader of the 12 o'clock service. 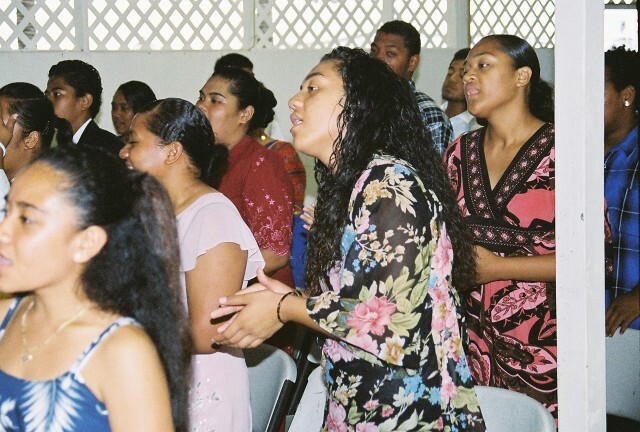 She works with Pauline Taumalolo and Kolone Fine in running the 12 o'clock service. Picture on the left side are members of the youth. They are waiting at Honolulu International Airport for their flight to Los Angles. 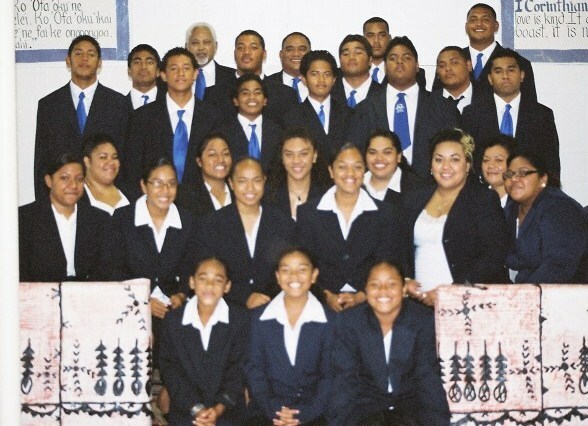 The youth were going to perform at the Tongan-American UM Caucus in 2003. They are Penisoni Tu`ifua, Manako Tu`ifua, Siaosi Hala`api`api (w/ hat), Neami Tu`ifua, Viliami Hala`api`api, and Vaioleti Mikaele. Picture on the right side are members of the youth. They are at Santa Ana UMC.